Tufnell Park shouldn’t really be as nice as it is. On the stretch of road between the transport hub of Archway and the tourist centre of Camden, the area is no more than about half a mile of businesses along the road side. However, with the Heath not too far and a number of cafes, bars and pubs – new and old – Tufnell Park is really becoming a place to visit. 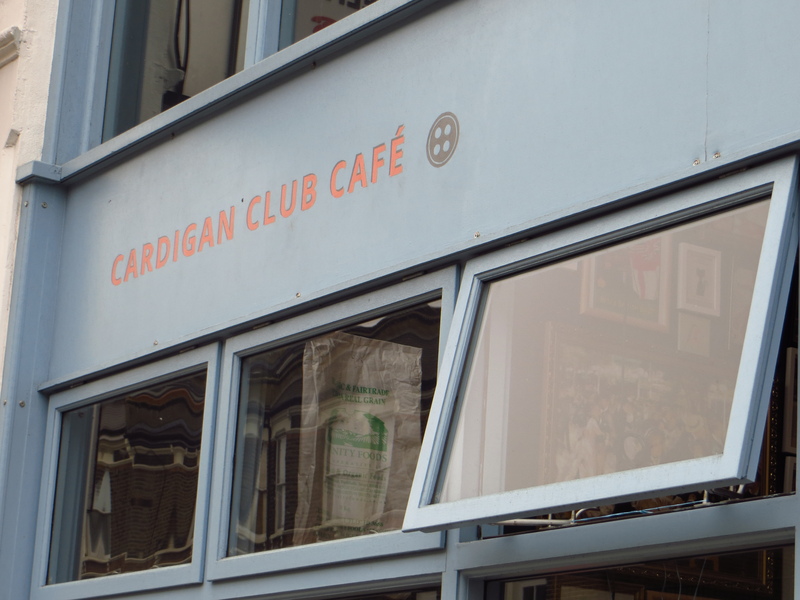 One of the newest on the block is The Cardigan Club Café, which sounds like it should be an ultra-hipster place but is in fact a French-Vietnamese Street Food Cafe. The Vietnamese/Cardigan connection comes from the fact that many of London’s original Vietnamese restaurants were set up to cater for the local seamstress and seamers. 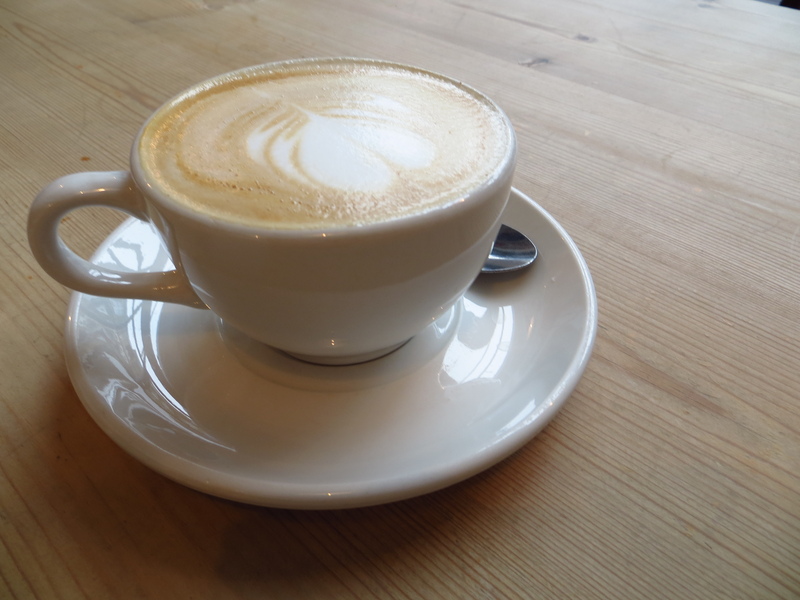 A fairly average cup of coffee. It was a bit over-milked and the flavour wasn’t that strong. However, what flavour it had was good and it was a good size and price. I heard talk of getting a proper barista in, so would be happy to go back after that and give it another go. 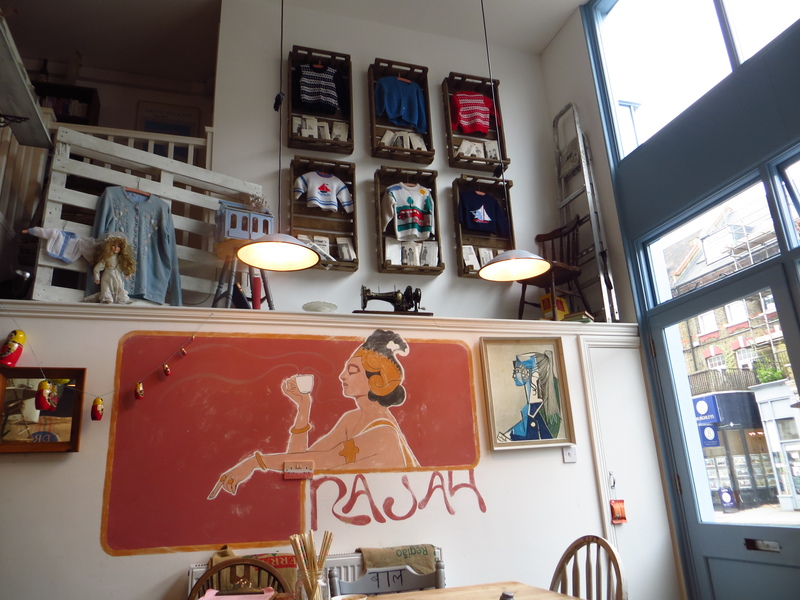 A really nice venue filled with quirky little touches and references to the seamstresses of old – like the napkins placed on scales, the cardigans on the wall and the ‘naughty step’. It’s set over two levels with the upper level a mezzanine floor looking out over the double height front windows – a feature peculiar to Tufnell Park. Who knew French-Vietnamese street food would be so good. I was a bit put off at first as the menu is pretty limited, with just a small selection of sandwiches and salads – but what salads. I went for the ‘Asian Persuasion’ salad with seasoned chicken. This included a huge portion of couscous with pomegranate seeds, a side of cabbage with a nice, hard white Feta-like cheese, tasty, hot chicken and more. Great value at £9 and full of flavour. Good service, though it was quiet so I’d expect that. Not sure how it would handle a rush. Gallery throughout, free wifi and some second hand books. 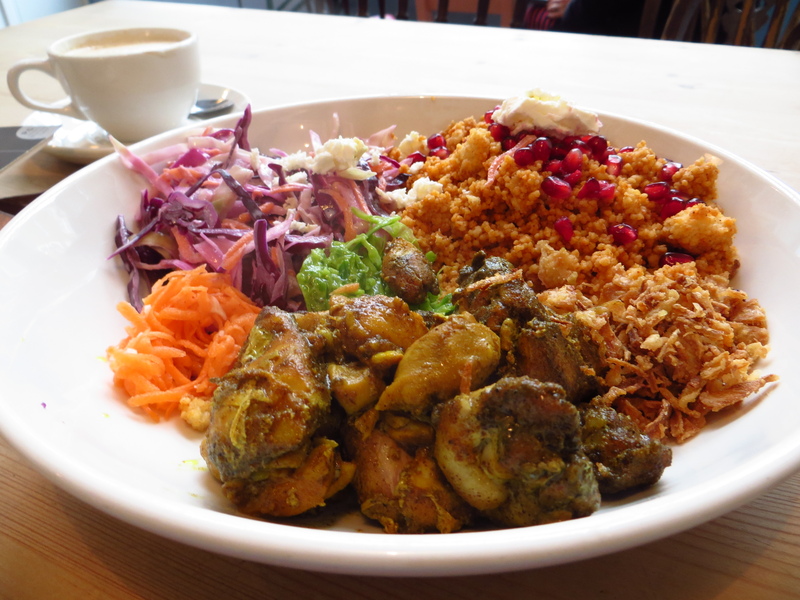 An excellent addition to Tufnell Park and a great place to get something different and healthy to eat.